Angle Encoders Linear Encoders Contouring Controls Position Displays Length Gauges Rotary Encoders HEIDENHAIN CORPORATION, 333 East State Parkway, Schaumburg, IL 60173 847-490-1191 www.heidenhain.us Connected Machining – Effi cient Processes through Customized Networking The workpiece comes into being at the machine, and the responsibility lies with you—the specialist in the shop. 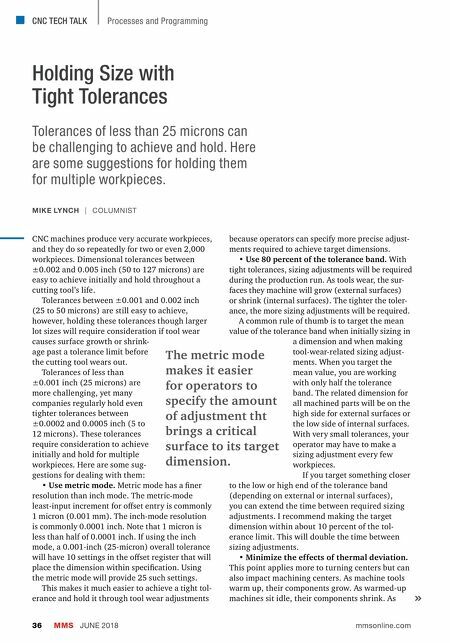 Your knowledge and skill are crucial for efficient production. But for this to happen, you need to be able to leverage your know-how and make use of all available information. Connected Machining from HEIDENHAIN makes this possible. 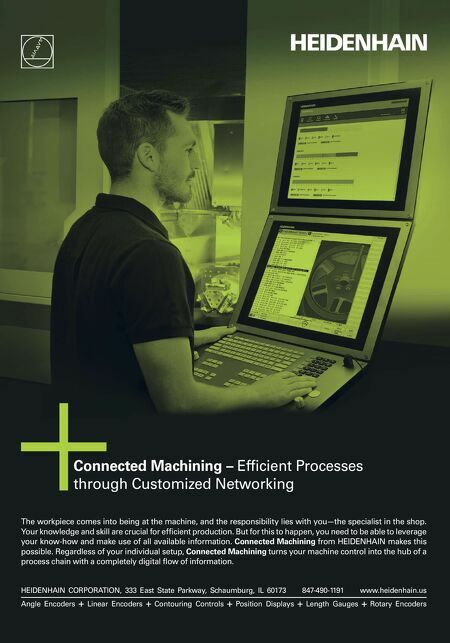 Regardless of your individual setup, Connected Machining turns your machine control into the hub of a process chain with a completely digital flow of information.